This is my review of Tracfone vs Net10 vs Straight Talk. All three of these companies are partially owned or fully owned by the America Movil, the largest Cell phone company in the North American/South America Combined area. The three companies have different pricing strategies that fit together well. Tracfone Pricing is designed to be very inexpensive if you use very few minutes a month. The minutes you do use will be expensive. You can keep your service active for less than $7 a month. Tracfone also offers a good deal on a yearly one time pay plan. Net10 offers cheaper minutes than Tracfone all the time but you will spend at least $15 every month for your service. Ten cents a minute all the time. Net10 has two new Monthly plans. A $25 per month 750 minute plan and a $50 per month Unlimited plan. Straight Talk is the latest plan and it offers two prepaid plans. A $45 a month unlimited plan and a $30 a month 1,000 minute, 1,000 text, 30 meg data plan. So if you want the cheapest cell phone monthly or yearly service Tracfone has you covered. If you use 100 to 250 minutes a month then the bi-monthly $30 card from Net10.com is probably your best deal. If you talk quite a bit and text a lot the $30 Straight Talk plan with 3.3 cents a minute is unbeatable. The new $25 per month Net10 750 minute plan is also an competes very well with the $30 Straight Talk option. If you talk and text on your phone all the time then the $45 Nationwide Straight Talk Wireless plan is better than any contract or other prepaid plan out there. $20 phone card gives you three months of service time. You get 60/120dmfl minutes 33.33/16.66-dmfl cents a minute and $6.33 per month. $80 phone card gives you three months and 450/900-dmfl minutes 16.66/8.8-dmfl minutes and $26.66 per month. $100 yearly phone card gives you 400/800-dmfl minutes and 12 months service $8.33 per month and 25/12.5-dmfl cents a minute. Service time and Minutes Roll over with Tracfone. The Tracfone phones are very inexpensive but when you figure that many of the Net10 phones come with 300 minutes the Net10 phones are usually a better deal. Tracfone has a DMFL(double minutes for life) option you can purchase for your phone usually $25 or $50. This doubles your minutes on every card you put in your phone for the life of the phone. Many Tracfones sell with DMFL already installed on the phone. Do not add minutes to a Non-DMFL phone. The minutes are way too expensive without DMFL. $30 phone card gives you 300 minutes and two months service. 10 cents a minute and $15 per month. Net10 phones usually come with 300 minutes and two months service included. Sometimes you can buy a phone for $20 from Net10.com with $30 worth of minutes and service. Net10 is very Simple just buy a Net 10 phone and add a $30 card. When you run low on minutes add another $30 300 minute 60 day card. Service time and minutes roll over with Net10 PAYG. With the two new Net10 monthly cards (Unlimited and 750 minute) your service and minute balance will not roll over but you get a lot of minutes to use for the month. Any time you add a Monthly card your remaining service balance will be erased. Find great savings and the best selection of phones at Net10.com. $30 a month plan gives you 1,000 minutes, 1,000 text messages, 30 meg of data transfer. No charge for 411 calls. 3.3 cents a minute not counting the text and data. Minutes do not roll over on this plan. $45 Unlimited plan with Unlimited text and Unlimited data. No charge for 411 calls. There is no other Nationwide calling plan that comes close to matching this plan. 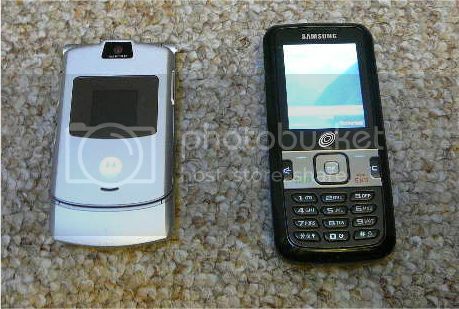 Nicer phones are available from Straight Talk than Net10 or Tracfone. Most of the Straight Talk phones use the Verizon Network for making calls. 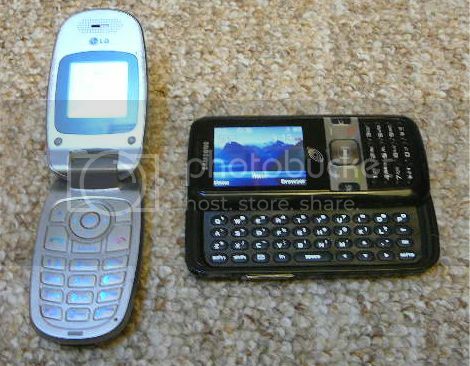 Straight Talk has just released some phones that work on the At&t GSM network. None of the Straight Talk phones will roam to different networks. If your phone is a CDMA phone it will only work on the Verizon network, it will not roam to US Cellular or Alltel like the Tracfone and NET10 PAYG phones will. Net10 PAYG and Tracfone use both GSM and CDMA phones that roam on the different networks. The Net10 Monthly plans do not allow your phone to roam---I am pretty sure this is the case but I am not positive. Get the Straight Talk Unlimited Plan for $45 or the $30 Monthly plan direct from Straight Talk.com This is a Tracfone vs Net10 vs Straight Talk Best Buy. Tracfone Cheap Phones and cheap access and expensive minutes unless you buy in $80 bundle or yearly bundle. $200 Tracfone 1500/3000 Minute Yearly Plan is a great deal. Net10 has the least expensive phones when you figure in the 300 free minutes. $15 a month minimum charge and the $30 Net10 card gives you a lot more minutes than the $30 Tracfone card. No DMFL to mess with. Simple 10 cents a minute and put in a card when you are either low on minutes or service time. 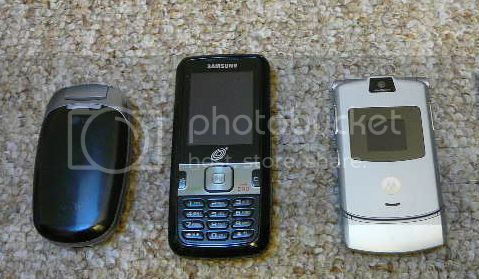 All three Tracfone vs Net10 vs Straight Talk offer close to the same phones for different prices. You can only use a phone with the company it came from. You cannot use a Net10 phone with Tracfone or Straight Talk or a Tracfone phone with Net10 or Straight Talk. Net10 phones are the cheapest because they usually come with 300 minutes then Tracfone phones (do not buy a Tracfone Phone without DMFL) and Straight Talk phones are the most expensive. Most Contract or Post Pay Phones will have a one year or two year contract term. With Taxes and extra fees they come to $80 to $100 minimum monthly with Unlimited Talk and Text. Straight Talk either the $30 1,000 minute plan or the $45 a month unlimited plan is a better deal for a Nationwide plan. Cancel your Contract Phone and buy a Straight Talk Phone. It will save you money.Buy Tracfone vs Net10 vs Straight Talk and save without signing a contract. Thanks for reading my Review of Tracfone vs Net10 vs Straight Talk Prepaid Wireless Plans and I hope I help you to save money.